2008 all over again? Nope. The prospect of a Greek exit from the euro zone is now being openly discussed as the country battles political and economic upheaval and faces an election on June 17. 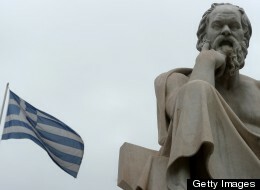 Beyond Greece, even Europe’s core countries are running into trouble. The manufacturing sector in Germany, Europe’s largest economy, contracted at a far greater pace than was expected, and its service sector saw minimal growth. In France, both sectors contracted faster than predicted by most economists. German business sentiment also dropped for the first time in seven months in May. We are not “tripple dipping” into another recession, for at least two reasons. First, real estate is at an all-time low, not an all-time high. Everyone blamed the Great Recession on the plunging real estate market. Real estate cannot plunge right now because a house cannot drop another $100k when it is only worth $90k. Second, America is battle worn, but tough. They adjusted to the New Normal- their expenses are at an all-time low. Many moved in with each other to save costs. People that were able to do so, took early retirements or got on disability. Remaining American workers will keep working because they really don’t have much of a choice; and so long as they keep working, there will be no repeat of 2008.